1. This sub-forum is a forum to allow all members to post up their beautiful photos of their amulets that had won placing in Thai amulet competition, irregardless big or small scale competition. Under your user profile, more details will be included. 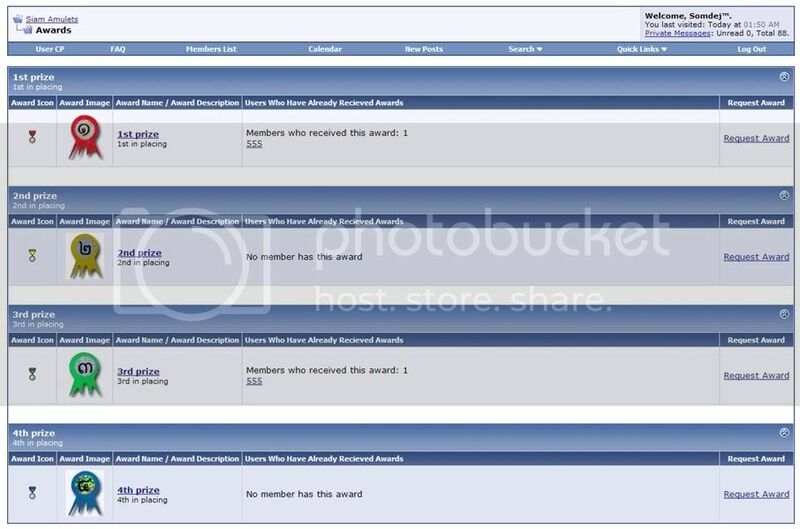 This is the summary page of awards. 龙虎榜!!! 4. Awards are cumulative. i.e. you will have as many icons as you want as long as you won placings in competitions. - Threads started in Hall of Fame is not for chit chatting nor for users to post their comments, i.e. swee swee, nice nice, etc. It is a purely a forum to showcase your winning amulets. Therefore I had disabled users right to comment on others' thread, which means to say, you can only allowed to post in your own threads. 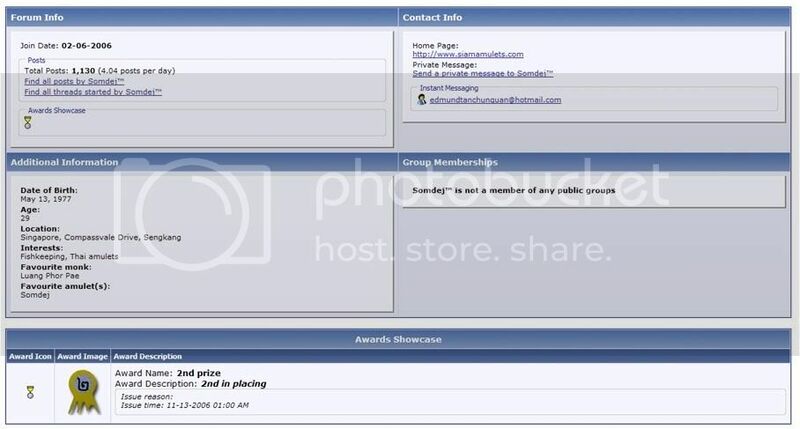 - Picture attachment option is disabled to save forum data space. Bro, you are always the man. Spice up man. You can Whatsapp, SMS and call me at the above SIN Mobile. Please do your research before purchasing any items from Hulk Amulets. 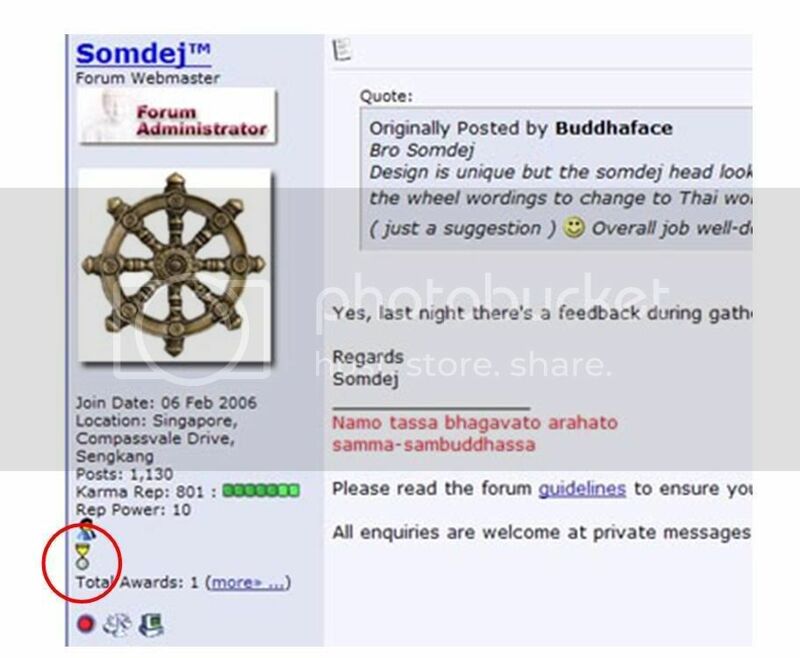 All amulets sold are not refundable or exchangeable unless proven fake in Samakom Competition. Please be informed that awards will be removed should competition certificates are not posted up within 3 months. I will spend some time checking through all. Thanks. Guys, please do not post thank you remark posts, I have a hard time monitoring awards upon posts chronological sequence. Please read the a/m. Thanks. All times are GMT +8. The time now is 22:37.